Auto repair shop in Manhattan NY. Our mechanics specialize in collision repair and auto body work, New York State car inspection, towing, oil change, collision repair and much more. Our auto body shop is located in New York City. Call us today (212) 629-1028. We are open 24/7. Rated 5 stars on online. WE SERVE THE AUTOMOTIVE REPAIR, AUTO BODY RESTORATION, AND COLLISION REPAIR NEEDS OF DRIVERS OF NEW YORK AND ITS SURROUNDING AREAS. Midtown Center Auto Repair was founded in 1972. For 43 years, we have been a locally owned and operated automotive repair center and tire dealer, specializing in high-end auto repair & collision repair work on Aston Martin, Audi, Bentley, BMW, Jaguar, Maserati, Mercedes, Porsche, and many other automotive manufacturers. We work with the following insurance companies: All State, Geico, Liberty Mutual, Met Life, Nationwide, Progressive, State Farm, Travelers, and many more. We are located at 537 West 38th St. in New York, NY and serve customers from New York, NY, Manhattan, NY, Queens, NY, and other surrounding areas. We are open every day from 9:00 AM – 6:00 PM. We pride ourselves on our reliable customer service and our highly trained, experienced service staff. At Midtown Center Auto Repair NY, we want our customers to know that they can rely on us for accurate, knowledgeable, and friendly auto repairs and tire services. At Midtown Center, we offer convenient and cost-effective fleet vehicle maintenance that will provide fleet accounts and fleet managers with a fast, thorough and affordable way to keep your fleet in peak condition. Midtown Center corporate fleet services provide a variety of auto repair and tires services, including 24-hour towing and roadside assistance for light, medium, and heavy duty and more. Midtown Center offers a full range of automotive services, including collision repairs, New York State Inspections, and more. Our fleet maintenance program tracks your vehicles’ records, saving you time and money. Our computerized dispatch and routing system ensures timely pick up and drop offs. Our customers include U-Haul, NYPD, AT&T, Red Cross, and many more. For more information about maximizing your vehicle’s time on the road and minimizing downtime, please call us at (212) 629-1028. We look forward to helping you maximize the value of your fleet operation. Midtown Center Auto repair is a company built by the best auto repair experts in NYC. We are your one stop shop auto repair company for any automotive. Our company is located in Manhattan, NY. We have catered to clients in surrounding areas. Our auto repair services include 24 hour towing New York, automotive air conditioning repair, collision repair and body work, engine diagnostics in NYC, tire alignment, NYS car inspection, car maintenance, taxi and limousine repair, tire repair and replacement, oil change, auto repair, auto glass, hybrid system repair and much more…. Call us today (212) 629-1028. Our shop is located in Manhattan NY. Midtown Center Auto repair is a company built by the best auto repair experts in NYC. We are your one stop shop auto repair company for any automotive. Our company is located in Manhattan, NY. We have catered to clients in surrounding areas. We have served both individuals and companies looking to get their vehicles fixed. Our mechanics specialize in different areas including collision repair and body work as well as car inspection. We also offer 24/7 roadside service. This means that you can call us for any emergency you encountered while you are driving. You can guarantee that we can address your concerns fast. And unlike other auto-repair companies, we operate 24 hours a day, 7 days a week for our towing services. If you are located within the area where we operate, you can just give us a call and we are more than happy to serve you.We also provide an honest assessment for every automotive repair that we do. We make sure that you know exactly what is going on in your vehicle before we perform any type of repair. This way, you are given enough options on what you want to do with the vehicle. Unlike other automotive repair companies, we make sure to always prioritize quality over anything else. Midtown Center Auto Repair is a company dedicated to providing top notch repairs for every type of vehicle. We have the knowledge and the necessary capability to address both large and small concerns regarding your car and any automobile. Do you also have a car that you love so much? Perhaps, it is a luxury vehicle? We are more than happy to help you. We have technicians with enough knowledge of luxury vehicles regardless if it’s a foreign or domestic brand. Don’t you just hate it when your local automotive repair shop rejects your car because they already have so many car repair jobs on their hands? It can be a real problem especially if you need the car fixed the soonest time possible. Things are a bit different with Midtown Center Auto repair. We are the leading company that clients go to when they have a problem with their vehicle. One of the things that make Midtown Center Auto repair the go-to company of many of our customers is our ability to cover for different types of cars all at once. We have a 20,000 square meter work area that allows us to get as many cars possible. This allows us to operate and accept more jobs than our usual competitors. We also have enough manpower and equipment that prevents us from having backlogs on our work. Aside from our space, we also take pride in establishing a good reputation in doing automotive repairs. We are proud of our track record, not to mention our ability to cover a good number of jobs all at once. We make sure that every car that enters our premises is taken cared of from start to finish. And with our quality control, you are guaranteed that repair and maintenance issues are going to be addressed well. You can guarantee that Midtown Center Auto Repair is not here to hustle you. We are a trusted partner by some of the largest companies that depend on their vehicles for their business. We are also the leading company that can come to the rescue of private car owners. You can even call us night in the middle of the night if you find yourself stuck with your vehicle stalling in the middle of nowhere! One common problem among automotive repair shops is to get more than what they can handle. It commonly results in the lack of quality in the final output. With Midtown Center Auto Repair, you are guaranteed that each of our work is going to be at par with the best in the business. We offer a guarantee to each of work to give you peace of mind. With the space that we have and the manpower that can cover for all the necessary work, you are sure that you are in good hands.We also take time-sensitive job orders. That being said, we can cover the job faster than most companies can. We make sure that we get the issue fixed to give you your mode of transportation back running on the road again. We are aware that having your own car can quickly become a reliability without the right maintenance and repair. At times, even the smallest maintenance and repair work are not being followed by car owners. 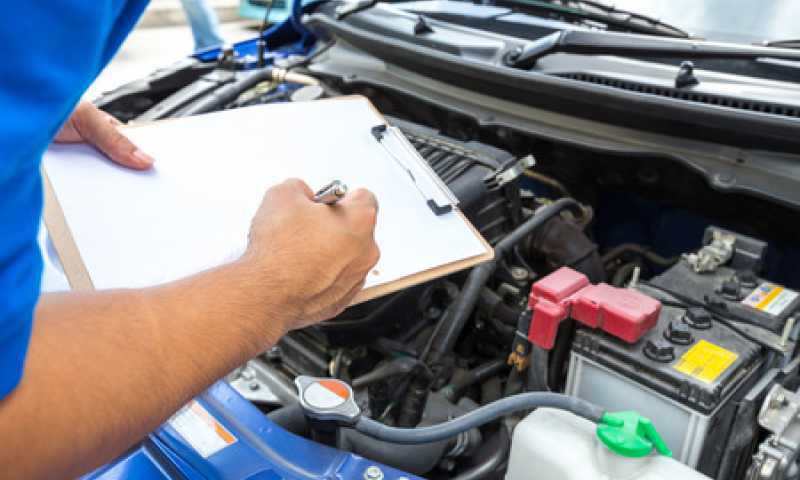 Whether it’s the lack of understanding of vehicles, or simply you don’t have the time, you can rely on Midtown Center Auto Repair for these kinds of scenarios. Our company has covered different kinds of vehicles over the years. Whether you have a five-year-old sedan or a luxury vehicle, you can expect that we deliver the highest quality of service to your vehicle. And if you think that you have to spend so much money just to get your car repaired, or have its scheduled maintenance, think again. Midtown Center Auto Repair offers competitive prices for our services. We offer fast, reliable, and affordable services. Midtown Center Auto Repair has been able to help both private car owners and businesses add mileage to their vehicles. As a company that’s been around for quite some time, our automotive experts can handle different types of work. Regardless if it’s a small or a large task, you can rely on Midtown Auto Repair for both auto body repair and maintenance requirements. What type of vehicles do we handle? Our company can handle both old and new vehicles. We also cover both commercial and private vehicles regardless of size. We’ve helped businesses improve their performance by making sure that their vehicles are up and running without any problem. Do you drive a BMW or a Mercedes Benz? Midtown Center Auto Repair is the go-to company of individuals who love their luxury vehicles. We have catered both repairs and maintenance to these types of vehicles. You can guarantee that your vehicle is taken cared off whether it’s a simple scratch or a collision that you are dealing with. We have trained mechanics and auto body repair experts that have experience on how to handle luxury cars. You are sure that your car is in the right hands whether you need something fixed on your car, or you simply need scheduled maintenance. Are you dealing with a small scratch on your car? Perhaps, you had an accident and you need the lights replaced? Regardless if it is a sedan or a family van, Midtown Center Auto Repair helps give you the peace of mind that you always wanted. We offer top notch car maintenance that can help improve your car’s longevity, not to mention potentially save money on gas since your engine is going to run smoothly. With our services, you can put more miles on your vehicle. You can also guarantee that repairs done on your vehicle are going to meet manufacturer standards. We are aware that commercial vehicles are a bit different compared to your usual family car. Commercial vehicles differ in both sizes and purpose. Regardless if you have a taxi fleet or a few trucks that need car maintenance and repair, we are more than willing to extend our services to your commercial vehicle. We are aware that commercial vehicles need to stay in top running condition in order to meet its purpose in a business. We provide customizable packages that can help meet your requirements. We provide scheduled maintenance, billing, and even a customized price for taking care of all your vehicles. Midtown Center Auto Repair is the trusted company of many business owners especially those that are running on small budgets. Are you looking for honest and quality work on your vehicle? Midtown Center Auto Repair is known for providing some of the best services in the area. With years of experience, complete with all the necessary certification, you can expect only the best in auto repair services from our company. Our primary goal is to add miles on your vehicle. And you can expect that we don’t only extend the miles of your vehicle, you can expect that your safety is also our priority. You can guarantee that we have the technical knowledge to meet manufacturers’ standards. We’ve established a solid reputation in the area for giving our clients only top notch services and products. It is our training and expertise to give car owners the best bang for their buck when it comes to their vehicles regardless if it’s for private or commercial use. We made a name as the number one automotive repair company in Manhattan, New York with our fast and reliable services. Midtown Center Auto Repair is the company that always focuses on improvements. We have constantly updated our skills and knowledge given the fast changing designs and technology in the automotive industry. We’ve become the partner of different businesses including taxi companies, airport pickup companies, and those who use large vehicles for their day-to-day operations. Our company offers wide range of services from 24/7 towing and road assistance to body collision repairs. We also perform repairs on engines to make sure that your vehicle is running smoothly. Aside from repairing your engine, we also provide you with simple maintenance checks that can help prevent small problems from popping up. With our trained and knowledgeable mechanics, we check your car’s condition and make sure that we anticipate any problems from surfacing in the coming months. We give you an idea on parts that has to be replaced to keep your car running smoothly. And because we only believe in offering the best service to our clients, we guarantee nothing but the best work every single time. Regardless if it is a small or a big task, we make sure that you get only the best service from Midtown Auto Repair Center. We make sure that there we check the car issues in different phases of the job. With our experienced eyes, we look at the problem and provide you with the proper assessment. During the repair, we check your oil, and if you need a Oil Change we will provide it. You can guarantee quality workmanship is insured not only in the hands of our mechanics but as it is also supervised by senior mechanics with much wider experience in all sorts of automotive repairs. Cars can be considered an investment. It gets you from point A to point B, it helps you get to work or even keeps your business rolling. Unfortunately, you need to consider the fact that it also experiences wear and tear. And one of the best things that you can do not only to extend your car’s life but to also save some money on transportation is to get your car checked regularly. Regular auto maintenance can help lessen the effort on your engine making sure that your car is running efficiently. It means that you don’t spend much on gas. You can even resell your car for a better price if your car is well maintained. 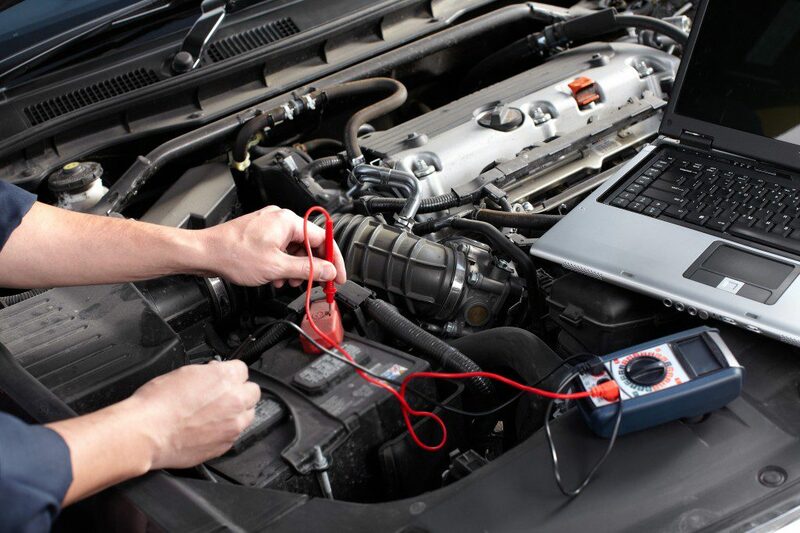 If you don’t have any idea on what to check on your car, let us handle your concern. We have all the right tools, experience, and manpower to give you what you are looking for. We offer complete diagnostics of your vehicle. We have the latest technology that makes the diagnostic process faster and more accurate. We offer our car maintenance services not only to private car owners but also to businesses. Managing your fleet can be a bit of a hassle. The more cars that you acquire for your business, the more likely that you are going to have a more difficult time monitoring its scheduled maintenance. Midtown Center Auto Repair can provide you with a customizable program that fits your needs. We can provide a tailor fitted scheduling, billing, payment, and types of services that we can apply to your fleet. We are also able to provide preventive maintenance to different types of vehicles from cars to motorcycles. And because of the modern day engine technology today, Midtown Center Auto Repair employees tech-savvy technicians that are trained and knowledgeable of these new designs and components. We are the trusted company by many taxi companies, tour bus companies, and private car owners. You can guarantee that there is no small or large task for us. Our auto body repair work is known as the best in the area. We have sophisticated technology and experience that can handle different types of damages to your car. Regardless if it is a scratch or a damage from a collision, you can guarantee that Midtown Center Auto Repair can make it look brand new again. We have years of experience in handling different kinds of damages sustained by vehicles. We cover for both light and heavy vehicles of different specifications. We make sure that after we have repaired the vehicle, you can guarantee that it meets the specifications of the manufacturer. This ensures not only the aesthetic appeal of your vehicle but also its safety on the road. And because of the complexity of modern day car designs and the different extents of damages sustained by vehicles, our auto body repair experts are also knowledgeable of mechanical components and functions. We have a special area wherein our auto body repair specialist can do the work. We have the necessary tools and equipment that can help make the entire process easy. The work is often divided either as major or minor collision repair. For major collision repairs, the auto body repair specialist is going to get the vehicle into a body jig. This makes assessment a lot easier. We also have the necessary hydraulic tools that can help reverse the damage. We perform both repairs and replacement of parts that have been damaged from the collision. After all the corrections were made, that’s when we perform the necessary refinishing with paint to return the car in its best shape. We are known for providing competitive rates to our clients. You can guarantee that we can make your car look brand new. And unlike other companies that simply do a great work on your car’s aesthetics, we can ensure you that your car is going to run even better before you encountered the accident. Are you looking for new wheels on your vehicle? Midtown Center Auto Repair has the different brands and tire sizes that to choose from. We offer a wide variety of options whether it’s a passenger, a light truck, or even a trailer. We provide different tire sizes that fit a wide variety of vehicles. If you are shopping for new tires, you can also learn more about the different brands from us. You can always give us a call and we are more than happy to guide you meet your tire requirements and your budget. Our staff is knowledgeable of anything about tires. You can feel free to check what we have. Contact Us and we will be more than happy to give you a quote especially for bulk orders.